This past Sunday some coworkers and I had a small Thanksgiving potluck. The idea was to bring something from your ethnic heritage or something you grew up eating. 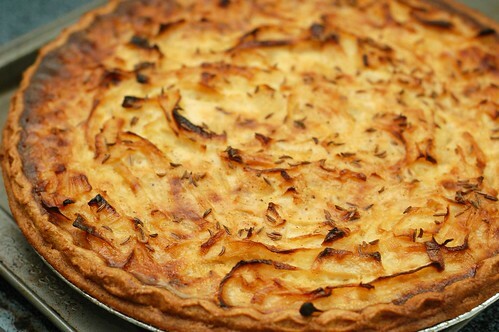 I never had this as a child but during my visit to Europe last year I was introduced to Zwiebel Kuchen, which literally translated to “Onion Cake” (or Pie). It’s much like a quiche, however with emphasis less on the eggs. What are some dishes from your heritage you’ve always wanted to try?